Roses all day, everyday! 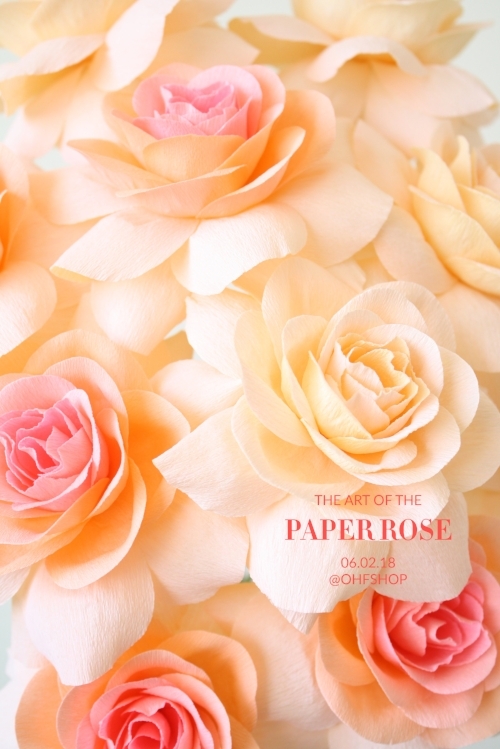 Start off your Saturday morning with some crafting fun with Paper Ave at Oh, Hello Friend in Brea, CA to learn how to create this fluffy rose made with 35 individually cut and sculpted petals from doublette crepe paper! Each student will be provided with a beautifully hand packaged kit with supplies to create the rose and extra material to continue creating more blooms after the workshop. This course is great for paper enthusiasts of all levels so be sure to grab a friend or family member to join in on the fun! Early bird pricing will end on May 5th, and then pricing will increase to $65/ticket. Seating is limited so please be sure to sign-up today! Registration in advance is required and no refunds will be given once purchase is made. If you have purchased a ticket and are unable to attend, please email donna@paperave.com as soon as possible so that we can reschedule your ticket to a future workshop.